I spent the rainy weekend we had catching up on an old scrappy project I started a while back with Miss K. This little pink and red “explosion” quilt is starting to come together. I just can’t commit to a layout yet. If I go with this first option, I would want to make more blocks and create a square. 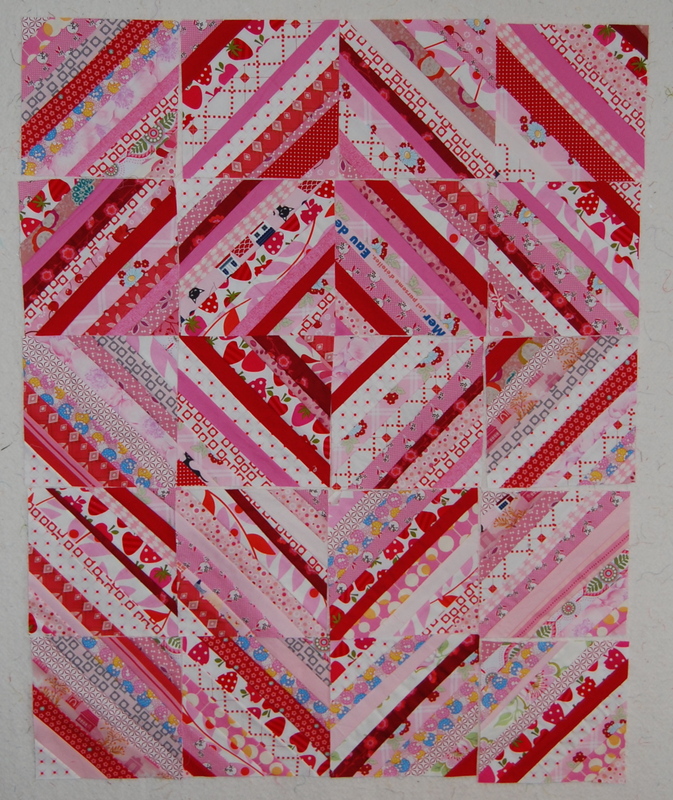 I was so inspired, once again, by Kati’s recent bee quilt layout; well the entire quilt actually, it’s sooo lovely!!! However, since I’m not completely in love with these colors, I’m not sure I want to keep going. The other option is to go with this layout and call it a done- well, except for the whole…. sewing it all together part! Thanks to a rainy Sunday, I also managed to finish up the back for Miss K’s Granny Square quilt. The girls are on Spring break this week so I may actually get to baste it!! I somehow get more work done when they are not in school than when they are. Anyway, it was great to get a nice chunk of sewing time in this weekend. It’s one of my favorite things to do on a rainy day!! What does your gut tell you to do? I like them both, but would lean toward option #1 as it’s different that what people usually do with strings. But I can completely understand wanting to be done with it! I like the colors. I’ve got a lot of pink scraps and am trying to figure out what to do with them. It’s nice to see this monochromatic use of pink. Either way, you can’t go wrong. It will be pinkalicious! I love the layout either way. 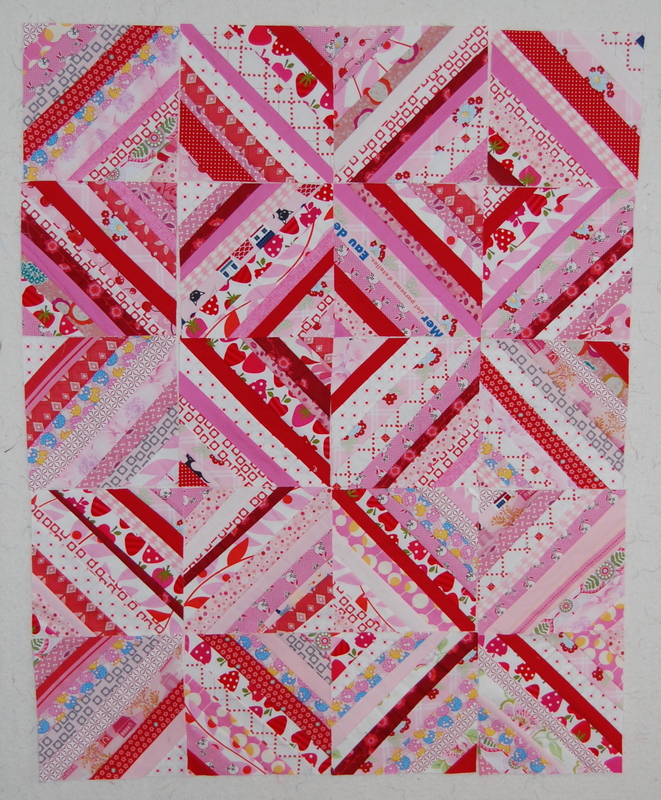 It’s such a fun, girly quilt. Good luck deciding and have a fun sewing week!